The lavishly decorated shrines and the unison of nature with man-made structures will have you captivated. Discover the historical samurai culture instilled in Sendai and Kakunodate. Experience one of Japan’s 3 most beautiful views in Matsushima and enjoy a relaxing cruise in the bay. The relaxed cities, historic towns and the beauty of nature in Tohoku provides a new perspective of Japan. Find your new favourite place in Tohoku. Upon arrival in Tokyo, discover some new places around the city. Try strolling around the Yanaka, Nezu area, known for its numerous temples, a sloping maze of streets and narrow alleys, and unique small museums and galleries. Take a day trip to the town called ‘Little Edo’, Kawagoe. Wander around streets lined with traditional clay-walled warehouses and see and hear the symbol of Kawagoe – the bell tower. 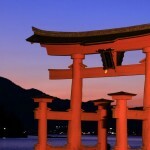 Board a train to Nikko, home to world heritage listed temples and shrines. 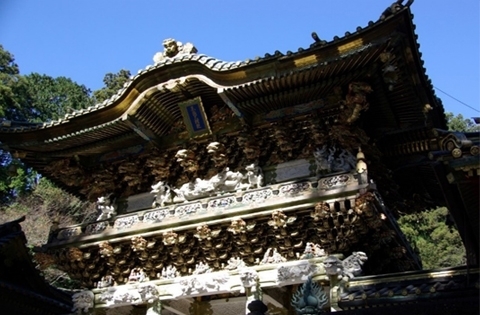 Explore the lavishly designed structures such as the luxurious Toshogu Shrine, the flamboyant Taiyuinbyo, Iemitsu Mausoleum, Rinnoji Temple (Nikko’s most important temple) and Futarasan Shrine. Unwind in the onsen hot spring hotel. 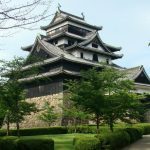 Take a stroll through the Tamozawa Imperial Villa Memorial Park in the morning, then head off to Sendai, the largest city in Tohoku, known as the ‘City of Trees’. Stop by the tranquil Aoba Castle Ruins and enjoy a sweeping Sendai city view. Admire the glorious Zuihoden Mausoleum, the final resting place of the founder of Sendai, Date Masamune. Wander around the bustling shopping arcades, and try the local snack food, Shyotan-age (Sendai style corndog). Take an expedition to Kakunodate, a former castle town containing rows of samurai residences. Stroll around this charming historical town at your own pace. On the way back, drop in to Morioka for lunch and feast on the famous Wanko Soba. Explore the city, and its beautiful landscape with Mt Iwate and its two rivers, Kitakami River and Nakatsu River, at leisure. Board a train for Hiraizumi, which contains over 3,000 national treasures, historical sites and cultural attractions. Visit Chusonji Temple, famous for its Konjiki-do Hall, and Motsuji Temple, best known for its ‘Pure Land Garden’. Then return to Sendai. Explore Matsushima, one of Japan’s Three Most Scenic Places. See the bay of islands close-up with a leisurely cruise. Stop by the many sights including Zuiganji Temple, sacred Ojima Island, Kanrantei tea room, the beautiful garden at the Entsuin Temple, and don’t miss Godaido Hall. Make your way back to Tokyo. *If you have already booked your flight, please provide us your flight details or send us copies of e-tickets when you book/enquire. 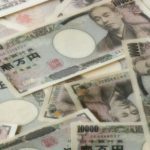 – Travel expenses (unless covered by the JR East Pass).